There's something huge going on when it comes to upholstery fabric color trends in 2018. A lot of the dull colors we saw in the late nineties and early 2000's are no longer trending, and we are seeing more of a shift towards bold colors. Bold bright fabric colors mixed with fresh whites and patterns are definitely on the rise as we go into the spring and summer of 2018. Bold colors like red, kale, navy or even yellow are the new color options for couches, chairs, ottomans and more! Some individuals are afraid of such bold choices, however, when utilized in a subtle yet stylish manner, you'll be able to transform your room or area into something really special. You can also combine these bold colors with something more neutral. Or if you are really adventurous, mix bold colors with bold colors. 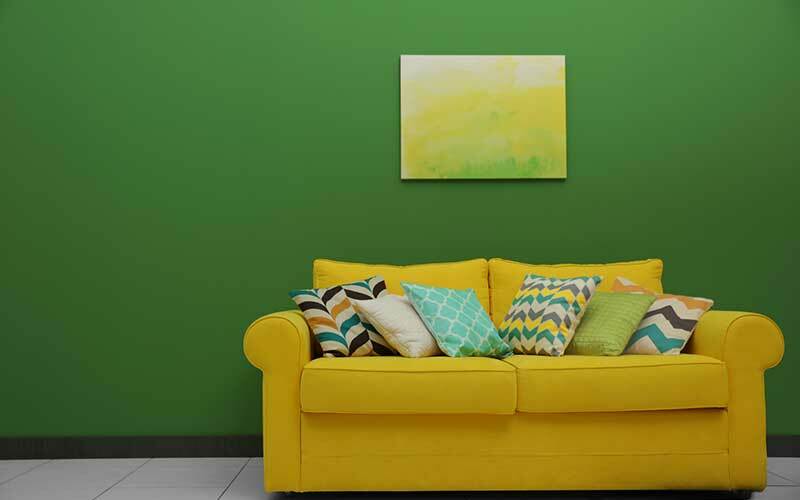 Here are a few stand out colors that will help you get started with ideas. 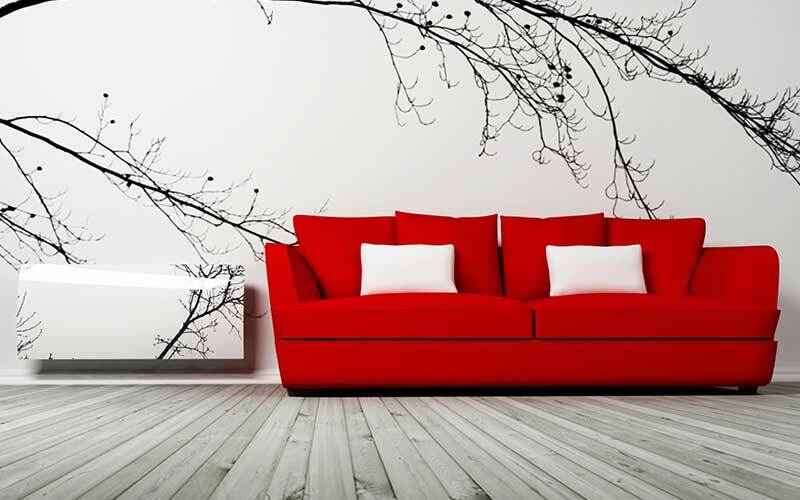 The simple addition of a rich deep red piece of furniture can dramatically change the mood of an entire room and it's a great color option for sofas or chairs. Navy blue is arguably one of the most popular colors of 2018. Navy blue is a safe choice for those who are more hesitant to hop on the "bold color bandwagon", and a lot of interior designers and decorators have been using the color for years. You Might Also Like How To Choose The Best Upholstery Fabric. This deep rich green color is definitely one of the hottest upholstery fabric colors of 2018. It's the perfect color option for sofas, ottomans, and chairs when you want to add a more subtle pop of color to your decor. Vibrant floral patterns are also on trend in 2018. While florals have actually been returning for a while, specialists believe larger, bolder flower patterns are making big strides. Flower patterns with intense contrasting colors are an excellent way to make your floral patterns pop. Aside from furniture, you could use floral patterns for drapes, or even wallpaper! Our fabric shop provides numerous in-stock upholstery fabric color options for your needs. We are available to help you pick out the perfect bold color or help you with decorating ideas to kick-start your design project. I also see a trend in using what might have been considered a utility fabric, now coming in bold colors, burlaps and duck canvas, even Monk’s cloth. What’s your thought? How to Update Your Outdoor Furniture Upholstery Without Breaking the Bank!